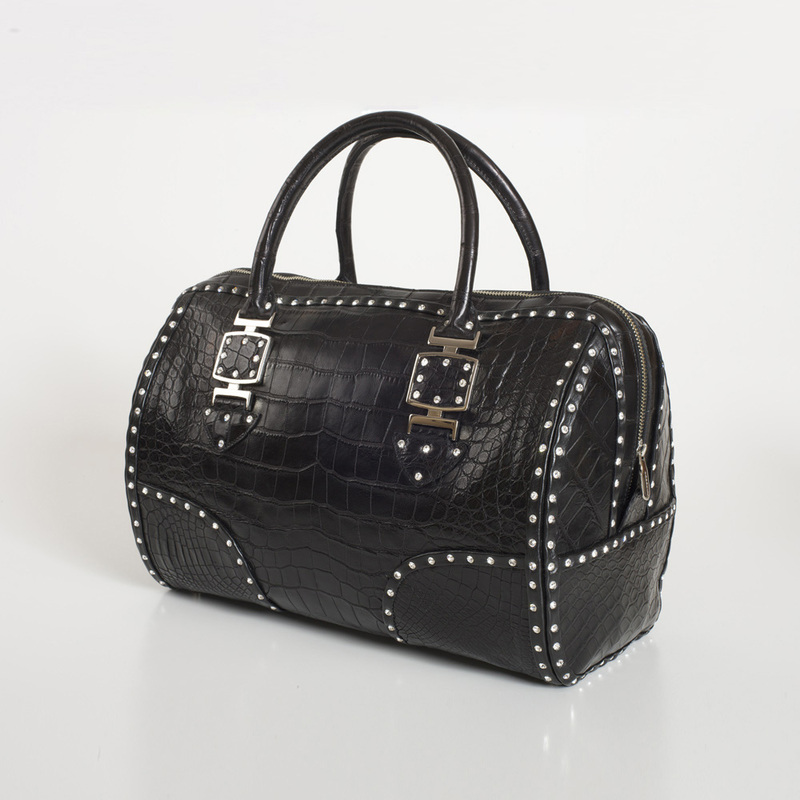 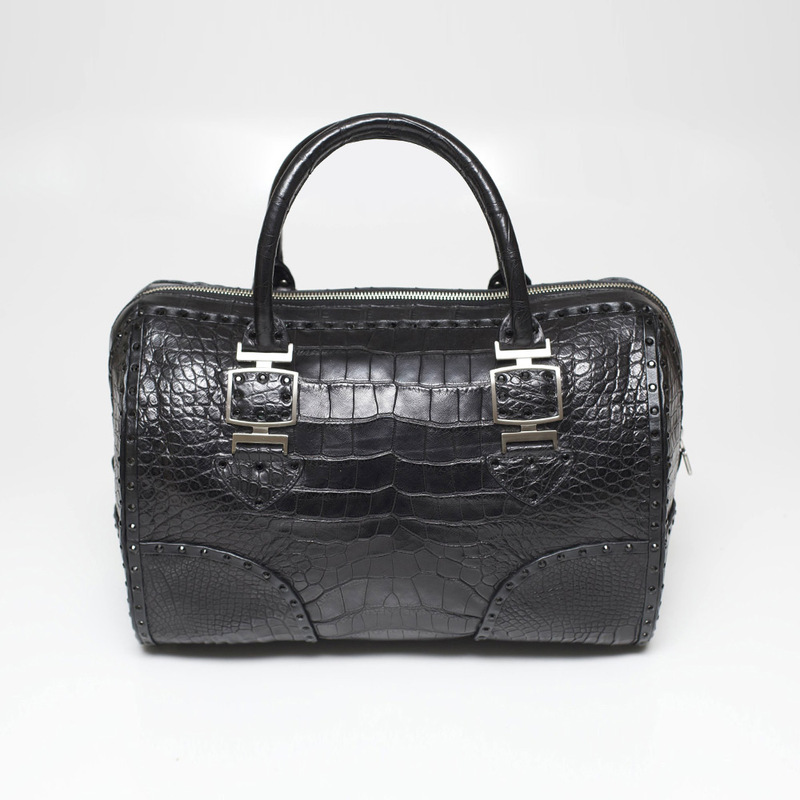 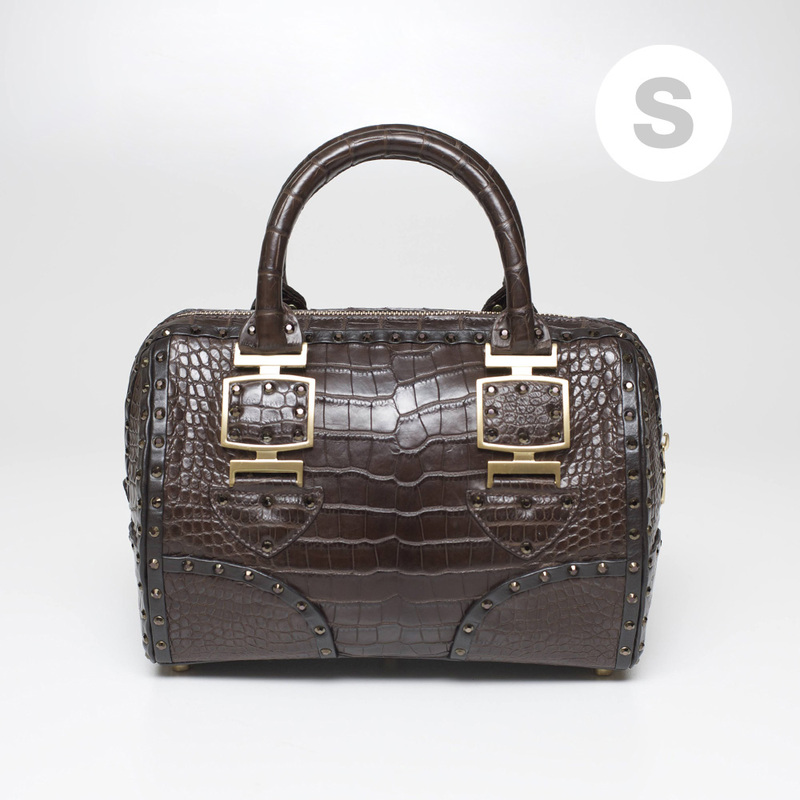 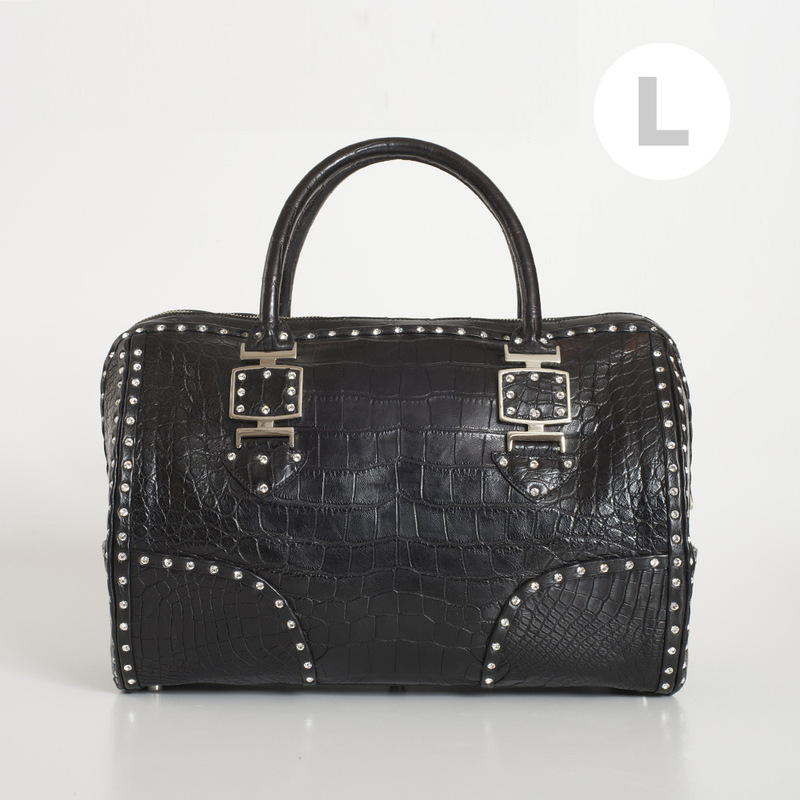 Exude an aura of a lady of leisure carrying this opulent and ultra luxe KOROKUM CK47 ALMAISAN handbag in black American alligator, a little bigger than the Altair. 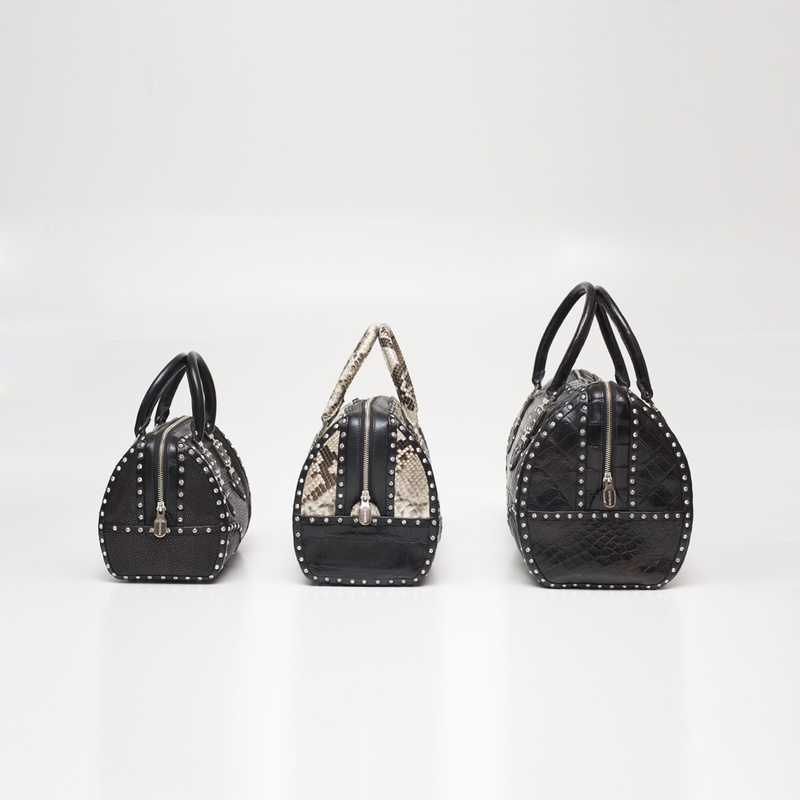 Embellished with white SWAROVSKI® ELEMENTS crystals, take your look from simple to sensational carrying this exquisite top-handle shape. 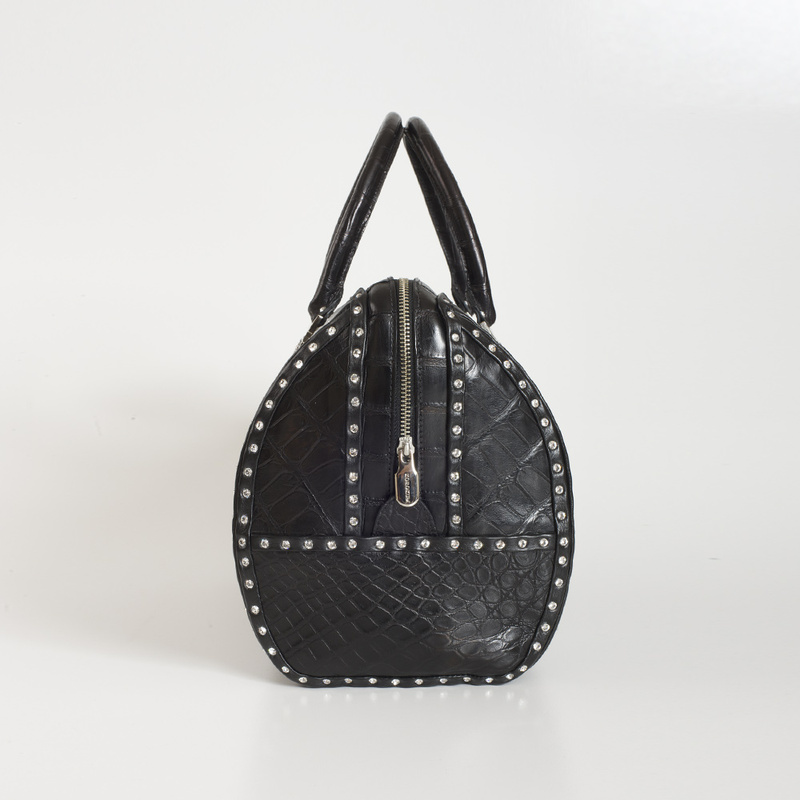 Note: All products are made with natural & genuine skins and they may be different from the product shown on the picture because each skin and each part of it is unique.